Transitioning the family farm to the next generation is never easy. But how much harder when the parents have their doubts whether their next generation has the skills or the personality to manage the operation? On more and more farms, the wise thing would be for the kids to set out to prove to Mom and Dad that they’re actually capable of becoming top notch managers and owners. But how do you do that if you don’t really know what your parents are looking for? If you’re too “take-charge,” will your parents think you’re impatient and too much of a know-it-all to succeed? But if you sit back and wait for your parents to open every door, will they think you lack the drive that farming is going to take? Besides, how do you prove that you’ve got what the job is going to take when no one is really sure what those skills are going to be? It turns out, though, the kids (or at least a lot of them) are better than you might think at understanding this conundrum. Even better, they also understand from their parents’ point of view. “It’s important not to feel entitled,” says Lucette Badiou, here with father Andre. Still, there are some core strategies that have got to be part of virtually any young person’s succession strategy. And again, a lot of young farmers recognize it. Jake Ayre is another young farmer working towards taking over the family farm, and he’s always known that he has to earn it. He accepts that nobody is just going to hand it to him. Like Badiou, Ayre understands that he needs to instill the confidence in his parents, Heather and Andrew, that he is capable of taking over the farm and moving it forward to the next level. 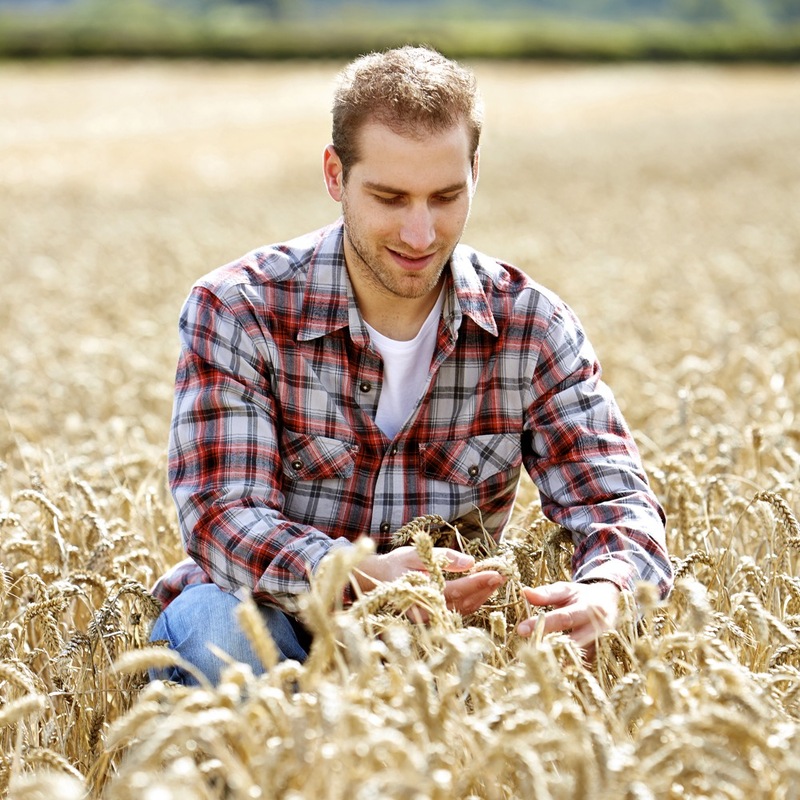 So he’s glad he decided to enrol in the University of Manitoba’s agricultural diploma program because it has provided him with some valuable tools to do just that. After graduating high school in 2014, Ayre went to university unsure about his future career path. 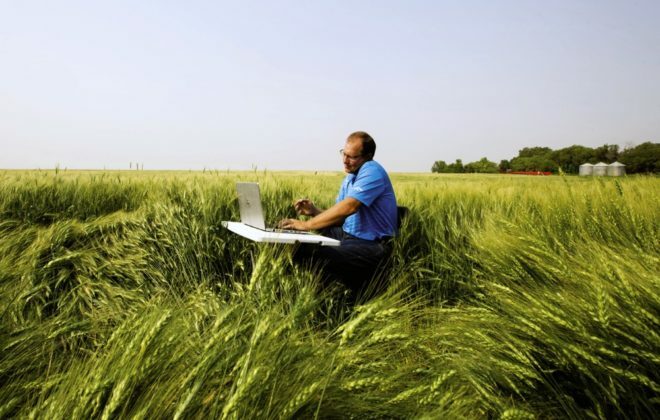 He was toying with the idea of something in agriculture, business or communications, but had no clear idea which way to go. 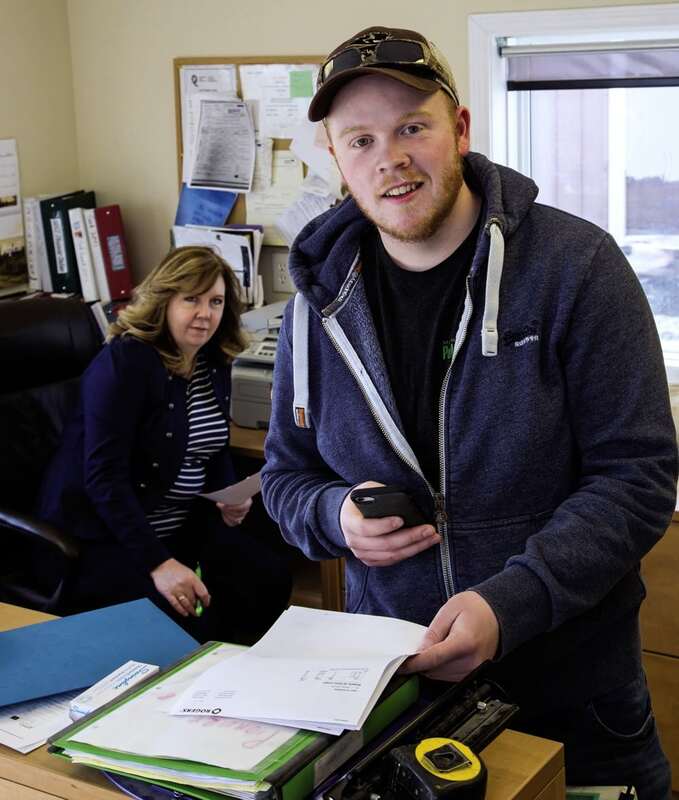 After speaking with students taking the agricultural diploma program, he decided it sounded like something he’d enjoy, and he ended up graduating from the program in 2017. 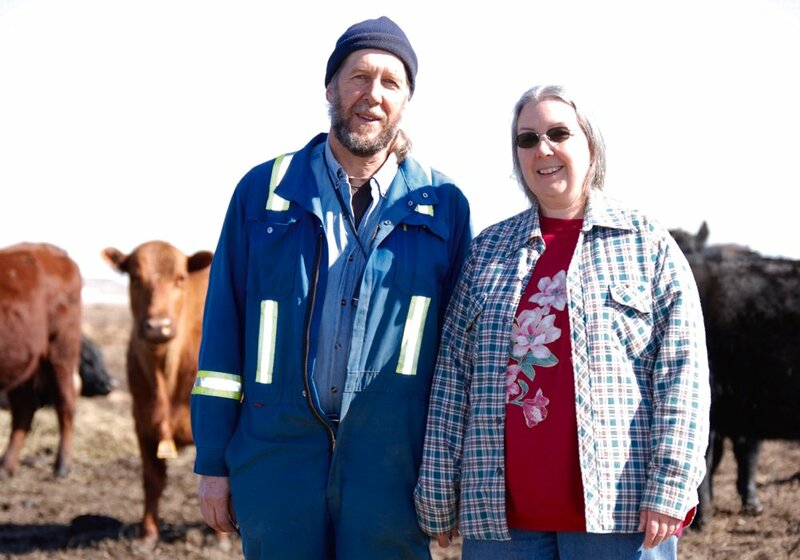 A huge influence on his decision to return to the family farm near Minto, about 25 minutes south of Brandon, Man., was the two-year management planning project he did as part of the diploma course, which gave him fresh perspective on farm operations and, equally importantly, gave him an opportunity to clearly demonstrate his knowledge and commitment to his parents. “I’d got to understand our own operation a lot better, where we’re making money, and areas that could improve,” Ayre says. At the end of their second year, students present, explain and describe a business plan of either their own or a fictitious farm to a panel of university staff, professors and industry experts, says Ayre. His parents were very encouraging over the course of the program; they were interested in what he was doing, but he felt that when they finally had this final project in their hands they could see that he had learned something and put the time and the effort in to show that he was interested. As part of the project, Ayre identified some of the farm’s strengths and weaknesses and areas with scope to improve. 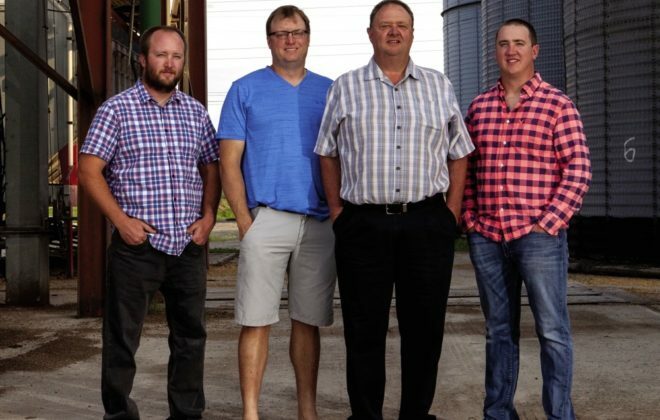 “We did courses on grain marketing, and Dad is good at grain marketing, however, I felt that there is an opportunity to explore other options,” says Ayre. He also prepared some scenarios for equipment management down the road when the farm needs to look at replacing machinery, comparing ownership with leases. Ayre also identified a side enterprise that the farm could potentially incorporate — bagging flax for retail human consumption — that definitely piqued his dad’s interest. 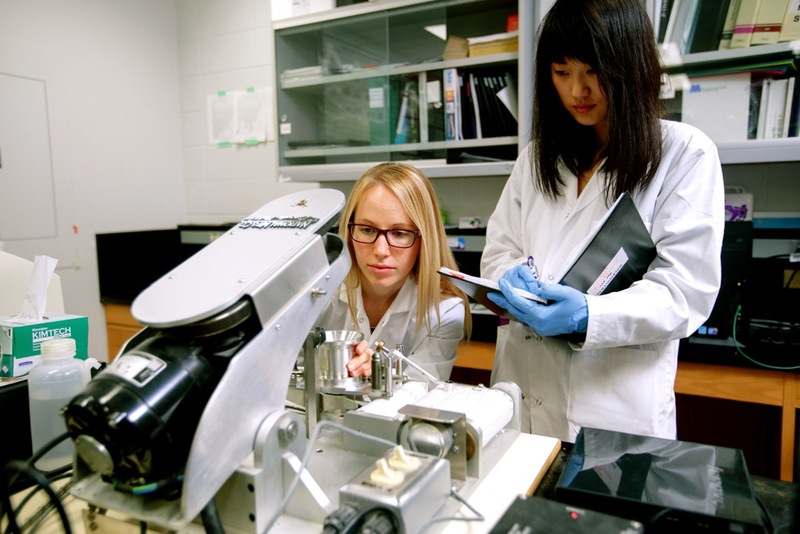 When Lucette Badiou went through the diploma program at the University of Manitoba five years ago, she needed to come up with a structural modification to her family’s farm as part of her management planning project. She decided to incorporate the building of a new robotic milking straw-pack barn to align with the needs of the farm and her family’s values. With a 120-head dairy operation and 300 acres of grain land, harvest was often a hectic time that meant going back and forth between combining and milking. “We inevitably were moving augers at four in the afternoon, which is our time to start milking,” says 24-year-old Badiou. 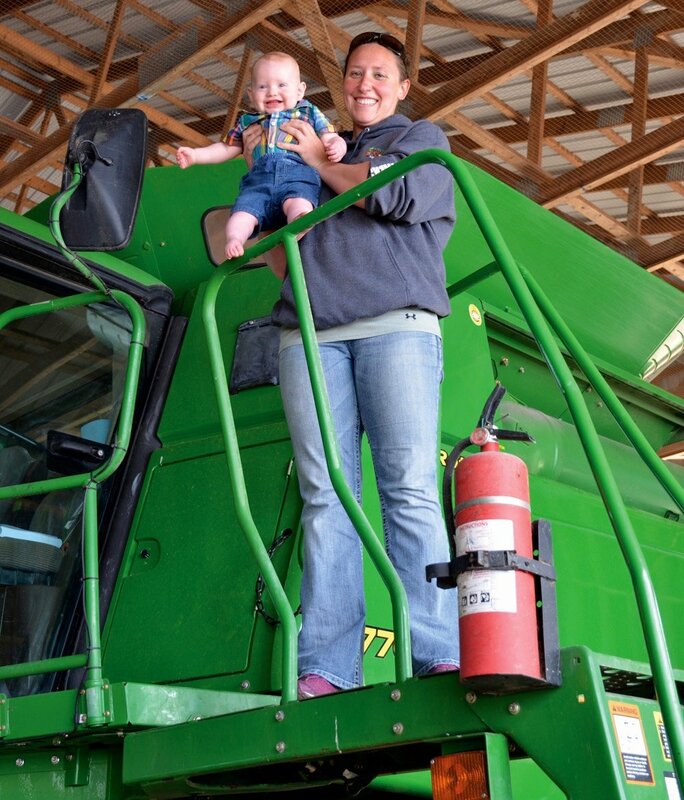 The family is well into the process of transitioning the family farm to the next generation. 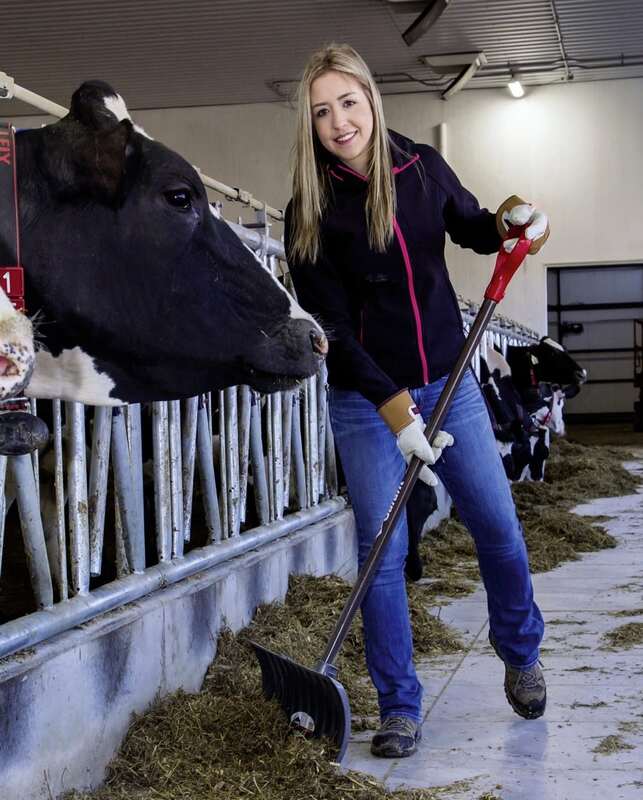 Badiou also works off the farm for Farm Credit Canada, handles the business and financial side of the family farm business, while her husband Nicholas and brother Claude run operations with Badiou’s parents, Andre and Henriette. The family went ahead and built the new milking barn and is planning a grand opening for summer 2018. 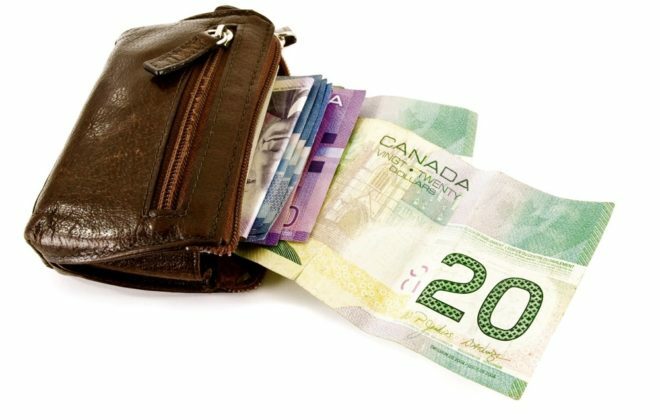 “I didn’t have to sell them on the idea because they immediately saw the benefits to the operation and our family as well,” says Badiou. The Ayre family immigrated to Canada in 2002 from Devon in southwest England, where they owned a generational sheep, cattle, grain and oilseed farm. 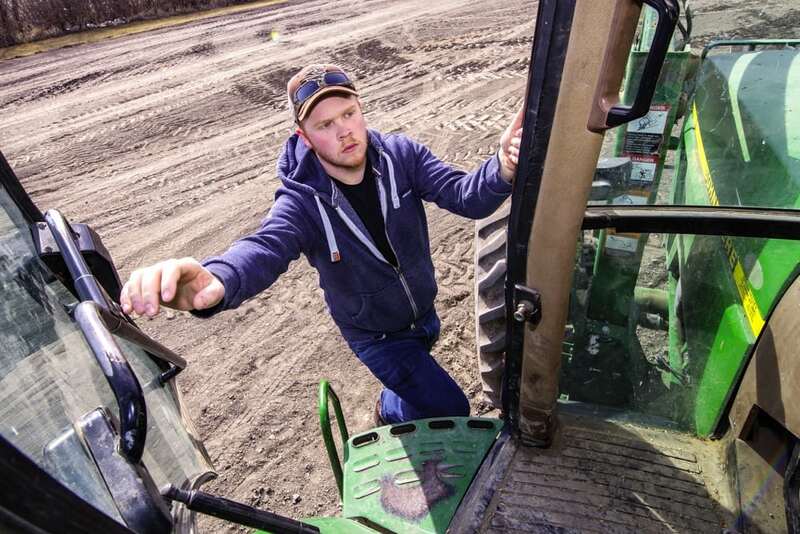 The family still have very few connections in the farming community in Canada, so the network that Ayre has built up through his educational process is proving to be another valuable asset the family didn’t count on. “Now Dad asks me what I think, and looks more and more for my input into decision making,” Ayre says. Although his father has always been the primary decision maker for the farm, Ayre has noticed that he is asked for his own opinion more and more, and his father is eager to hear about new ideas to bring back to the operation. “Dad has always tried to include me in conversations so that I can learn, whereas now, Dad asks me what I think and looks more and more for my input into decision making,” says Ayre. He recently attended a soils clinic, for instance, and returned with ideas about how a nutrient program might reduce the risk of seed-coat cracking in the soybeans they have started growing for seed. After her diploma, Badiou graduated in 2016 with a bachelor of science in agribusiness from the University of Manitoba. 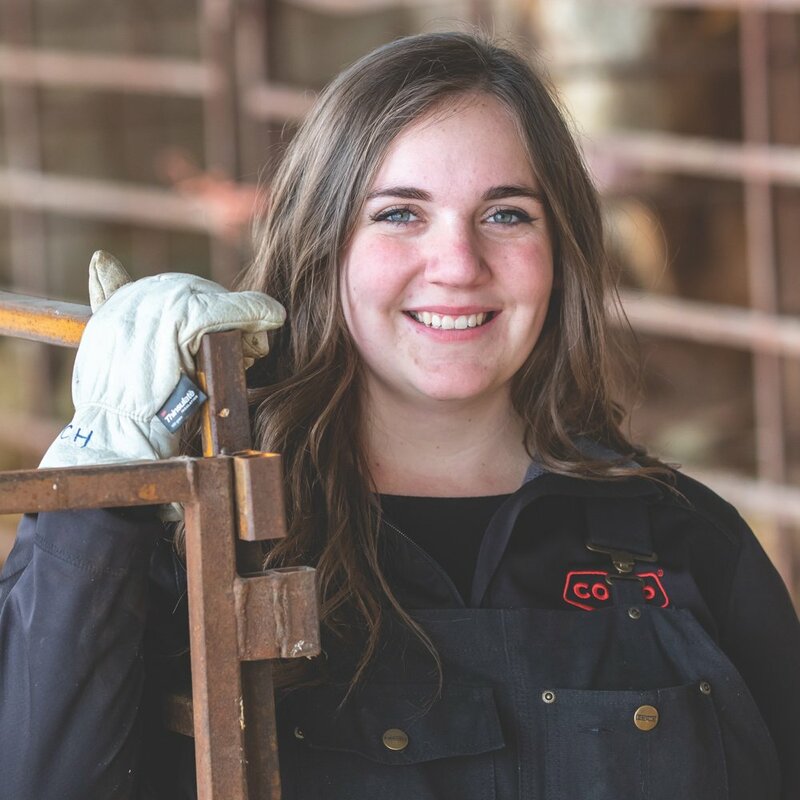 Her education, plus some summer work experience with farm transition consultants, Backswath Management, helped build Badiou’s role on the farm and her relationship with her parents and other family members. As much as the family dynamics are changing, and Ayre is earning the respect of his parents and their trust in his capabilities, he knows that has to be a two-way street, and the first lesson he’s learned is to listen. “It all starts with listening to the generation that you are going to be taking over from, because they have the experience and the knowledge. They have been there and done that and have that wisdom that you can learn from,” says Ayre. The next step is to have honest discussions about what everyone’s needs and expectations are because they are going to be different, but not necessarily incompatible with each other. Ayre knows plenty of people who have found it impossible to have these conversations, and for some, bringing in a farm adviser helps, and he feels fortunate that his parents have always been open and receptive to these types of conversations. In the end, it is actions that speak louder than words, says Ayre. “You can promise you’ll do all these things, but with our family, doing these things and showing them that you can do them speaks truer than a promise,” he says. Transition is going smoothly for the Badiou family, and Lucette shares the things she has learned that the younger generation need to do to earn the respect of their parents and ensure they are confident in their abilities. That begins with not thinking that farm ownership is a guaranteed right. “At times, the younger generation, who have been actively farming, feel they are entitled to the farm. In order to avoid that sense of entitlement, it’s important to sit together as a family and share individual goals, values and vision of the operation to find common ground,” says Badiou, who also suggests documenting mutually agreed upon goals, visions and values will provide a base to work from and keep everyone on track going forward. She also believes the process of transition can never start too early. “The process is long and for myself, I have big shoes to fill and I have lots yet to learn, so again it’s never too early to begin transition, because it’s not a night and day thing, it’s a forever thing,” says Badiou.